With four major theme park: Magic Kingdom, Hollywood Studios , Animal Kingdom and Epcot and 2 Water parks Blizzard Beach and Typhoon Lagoon your next dream vacation without a doubt is most likely to include one of this theme parks; being the most popular Magic Kingdom, were the Cinderellas’s castle is and magnificent Firewokrks with proyections over the castle and held. 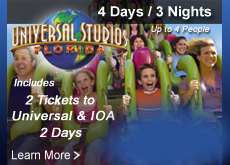 Believe Orlando Discount Tickes USA that is living a Dream fulfill with creativity and technology apllications. Disney to make your visit even more unforgettable has 2 elements that will be available for free when you visit the Magic Kingdom, Hollywood Studios, Epcot, and Animal Kingdom has some extra value gadgets that are useful to know in order to take most advantage of your visit at the Theme Parks. Disney Fast Pass+: It is the better way for you to save time waiting in line. Once you have purchased your admission with Orlando Discount Tickets USAfor only $39 dollars person by attending a resort preview one of the morning you are in Orlando, you can reserve access to set up your Disney Fast Pass+ online or on your Smartphone with My Disney Experience Disney App. This if possible to do it before you get to the park of your choice. The Fast Pass + experience allows you to choose between Disney Character Experiences, live shows, roller coasters, and even fireworks views. You can select up to 3 attractions prior to your arrival and at the park you will be able to more reservations once you have enjoyed the attractions. Disney Photo Pass:It is the favorite Memory Maker at the Theme Parks, at special character encounter, dining experiences, rides. The Disney Photo Pass can be record in a card that is given to you at Magic Kingdom, Hollywood Studios, Epcot and Animal Kingdom. With the Disney Photo Pass is possible to get Magical extras like animated magic shots and attractions. You can get unlimited photos at the park and see then on your computer. Visiting the Disney Theme Parks it is more than just get into the park, you can enhance your visit by identifying all what the park has to offers for free and for an extra charge. 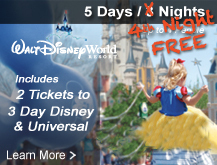 Take advantage of the discounted deals at www.orlandodiscountticketsusa.com for the Disney Theme Parks form one day to 5 days at Disney.